The Smok Alien 220W Mod is a high powered, very compact, portable box mod (85mm x 44mm x 28.4mm) that puts out a massive 220W. The superb TFV8 Baby Beast tank has a top fill, leak proof design. The Alien is made from zinc alloy with carbon fibre inlays. 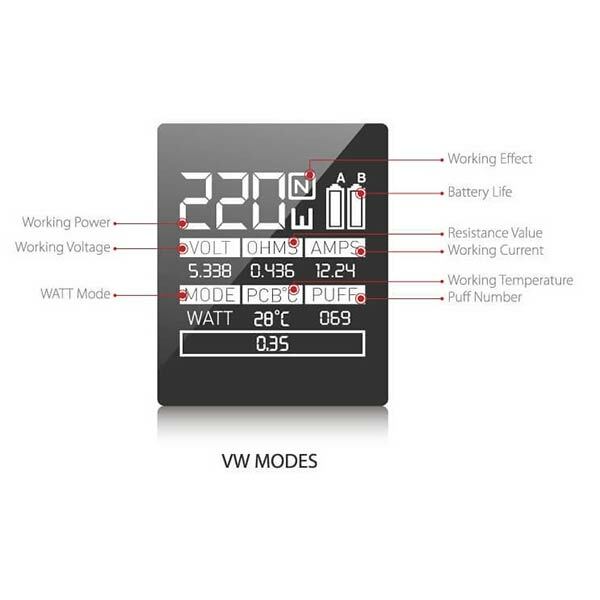 Its design is unique with slanted gold or red lines encompassing a large OLED screen, adjustment buttons and USB port. With 220W maximum power output the Smok Alien provides two different modes: "Watt mode" for great cloud chasing and "Temperate mode" for huge flavour. We recommended you use high VG e-liquids like 70VG 30PG or 80VG 20PG to get the optimum taste and flavour See our range of delicious cloud chasing e-liquids. The Smok Alien screen features an easy-to-read menu and features 6 info-lines that show wattage, mode, dual battery indicator level for each cell, resistance, coil type, puff time and number of puffs. At the top of the Alien, there's a 510 connection and on the side, the oversized hidden fire button is beautifully integrated into the design. The shell is contoured for a very smooth to the touch feel and the Smok Alien is easy to operate using a well designed combination of USB port, OLED screen and function buttons. This UK mod gets its 220W of power from dual external 18650 batteries(not included) installed behind a magnetic battery door. Don't forget to select the buy-option if you want your Smok Alien with UK batteries. To top-up the batteries, you can charge them externally or you can use the on-board charging setup by plugging the unit into any USB wall outlet. In addition to power mode, there are also several temperature control modes that support nickel, titanium and stainless steel coil heads. Our Smok Alien mod only UK kit (now with Baby Beast tank) option gives you flexibility and the choice to combine it with your favourite tank. All in stock. Also checkout our range of Smok Alien Coils. Where a product has been returned, we have found that TIGHTENING the PIECES around the tank properly resolves any leak issue. Smok is a leading brand of electronic cigarettes which specialises in the manufacture and research of vape products. 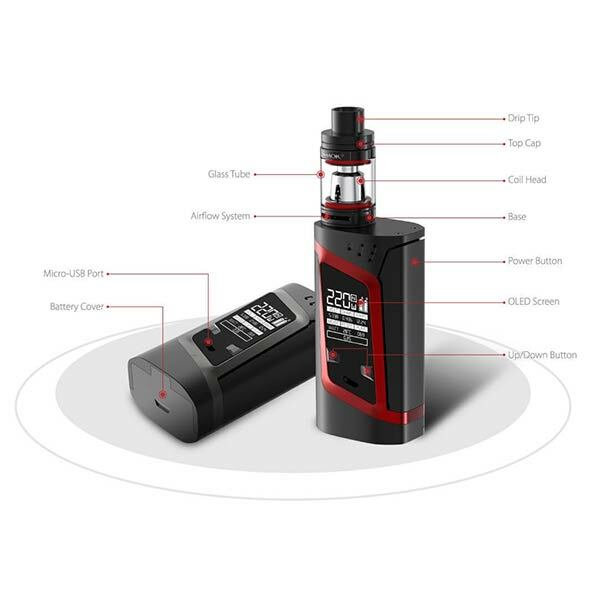 As a result of Smok's ability to innovate with new developments and patented products, the company is known as a sector leader in variable wattage and temperature controlled vape mods and e cigarette devices. The Smok Alien is one of the best selling Vape mods world-wide. Smok was founded in 2010. The introduction of the Smok Alien put Smok on the map as a major player in high specification/high power vape devices.